We usually hear the command at every wedding occasion say : ''What God has yoked together,let no man put apart''. Yet,every now and then,you see people with their unreasonable behavior,tearing apart marriages,and making husbands and wives quit their marriages. 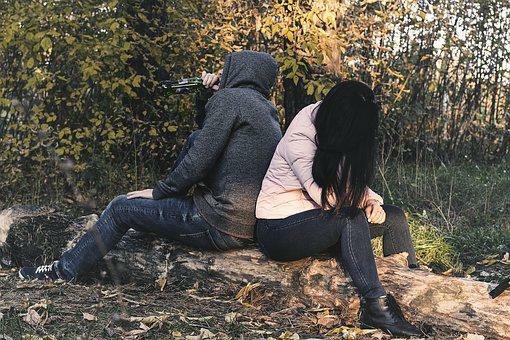 What are these unreasonable behaviors that has led many to divorce? Let us consider! There was this Lecturer of mine then in school. She was a professor,and a divorcee. She still bears her husband's name,because,all the certificates she has had before their divorce bear her full names as Mrs... When we inquired to find out why a Professor as intelligent as she was could be a divorcee,we found out that it was just an unreasonable behavior that pushed her. Her house maid,who leaves with them,taking care of everything in the house from kitchen to rooms,was lured by her husband to lie down in their matrimonial bed with him when his wife,the Professor,was away for a course in London. When she came back home after her few months course in London,she discovered that her maid,who she had employed to help take care of things at home for her family,has taken over her husband,and her bed,in her absence. The next and only thing she could think of and do is to divorce her husband,and so it was. Another unreasonable behavior for divorce you must avoid is the example of another woman. She was a successful business woman. Her own marital issue was that her husband would often discuss and consult his parent and siblings,before he takes up any action in his own house.His wife of course had never been comfortable with the situation. So,she decided that the right and best thing to do is to leave the marriage,so that her husband with his parent and siblings could continue in their act. We called all of these unreasonable behavior for divorce. It is both unreasonable in the side of a husband and his house maid to cheat their madam in bed,and also unreasonable behavior of the Professor,who thought the best thing to do for the unreasonable behavior of her husband,is to go for a divorce,as seen from the first example. In the second example too,we could say that it is unreasonable of the woman to also divorce her husband,because of her husband's unreasonableness,to consult his extended family,instead of his wife,for solving family problems. Yes,none of the examples above are sweet stories to hear in marriage. They could tear apart,what has been built for years. Yet,we all here are still saying that these are unreasonable behavior for divorce you should avoid. 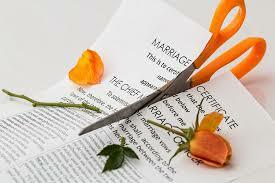 Why and how you should avoid these unreasonable behavior for divorce will be our next article. Please join us!! !